Perfume is without doubt the one cosmetic that has the ability to create the feel good factor instantly. Scents in our body products such as body wash, lotions, deodorant or hand creams instantly gives us a lift. Room fragrance such as potpourri or air fresheners have a calming, relaxing effect and are often used when we entertain guests to create an inviting ambiance. Perfume or fragrance is something I adore in all its various forms, be it from natural elements such as the beach or sea to freshly baked bread or uplifting lavender flowers. With perfume being a costly luxury product it makes sense to try making your own. 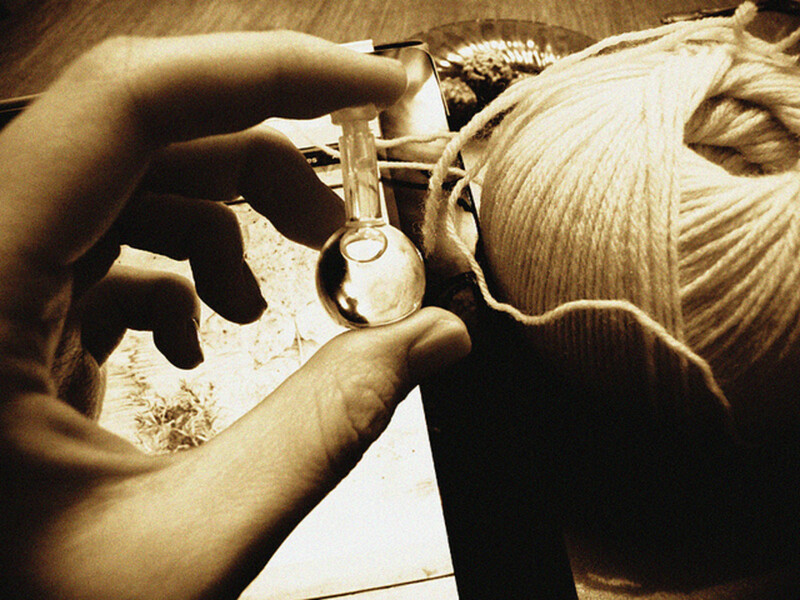 It is easy to make your own solid perfume, a dab on perfume or even a spray Eau de Toilette. Men's Eau-de-Cologne is equally doable at home and makes for a perfect creative gift idea. On top of the cost factor you know exactly what is going into your perfume, no hidden ingredients that may be toxic, synthetic or chemical in origin. As with any homemade beauty recipe, the very best ingredients will produce as near perfect a product as possible. Add the vodka or the jojoba oil into your bottle. One by one, add your essential oils. Give a stir with the glass rod. Your perfume is now ready. If using the oil base, I recommend leaving it for a week to give it time to infuse more and settle. Store in a cool, dark place and give a gentle shake daily. Follow the correct percentage of essential oils, this recipe is 15% giving the most concentrated fragrance. It is important not to overuse essential oils so if reducing your base amount, remember to reduce your drops of fragrance. 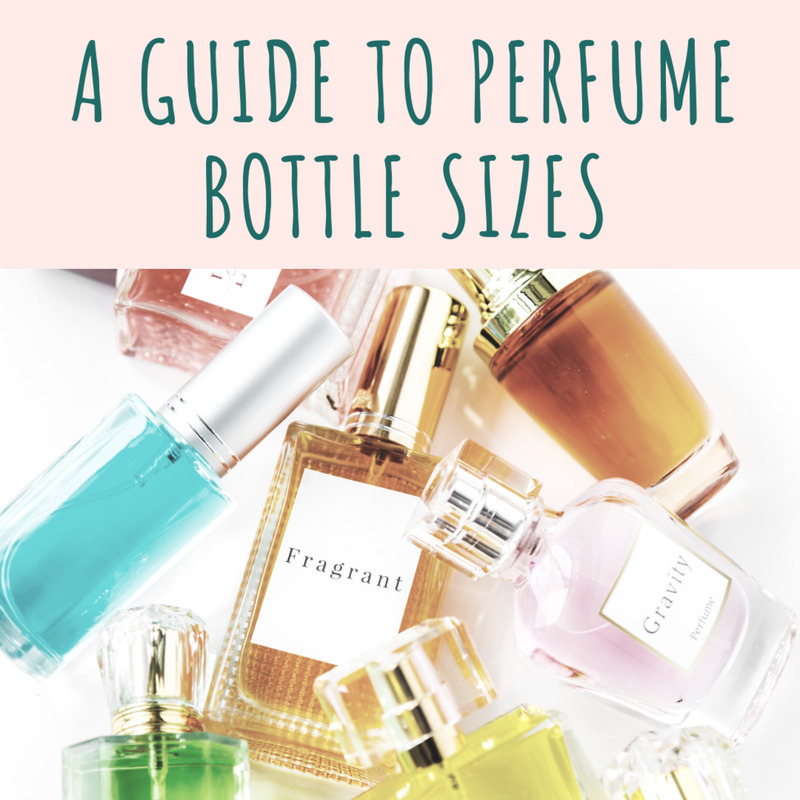 Using the above recipe as a guide, I have put together a few smaller recipes using less amounts of different oils that will show you how easy it is to make your favorite perfume scent using your favorite oils. 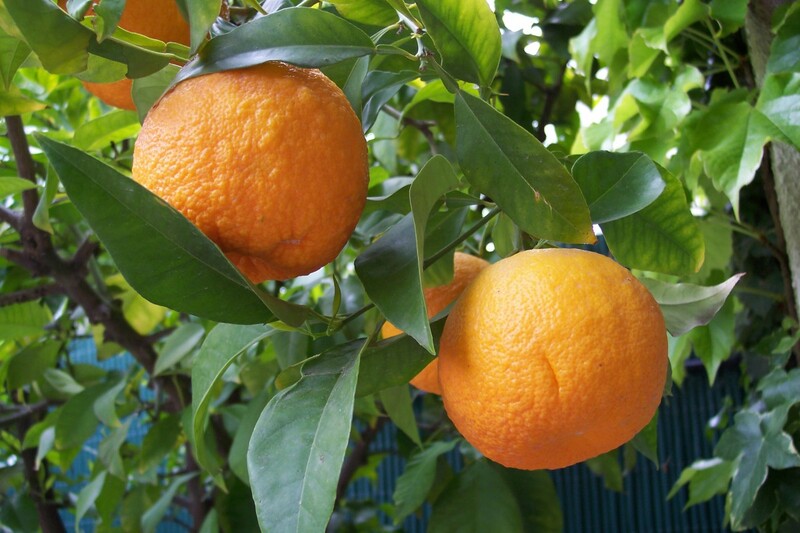 Also known as Portugal Orange or China Orange, this tree is native to China but is now extensively grown in USA. Unpretentious, sweet, tangy and vibrant are all used to describe this fresh citrus fragrance which is used to uplift spirits, create calmness and induce a general happy mood. Made from the peel of oranges, the cold pressed method of extraction is the best one to use as it most concentrate and pure. Sunny, warm and a general feel good fragrance, it has many therapeutic and health benefits including preventing colds and flu, helps the digestive system, stimulates collagen in the skin and reduces stress levels. Sweet Orange oil is safe, non-toxic and non-sensitizing oil but it may be phototoxic. It is recommended that this is not applied when going out in sunlight for extended periods of time. 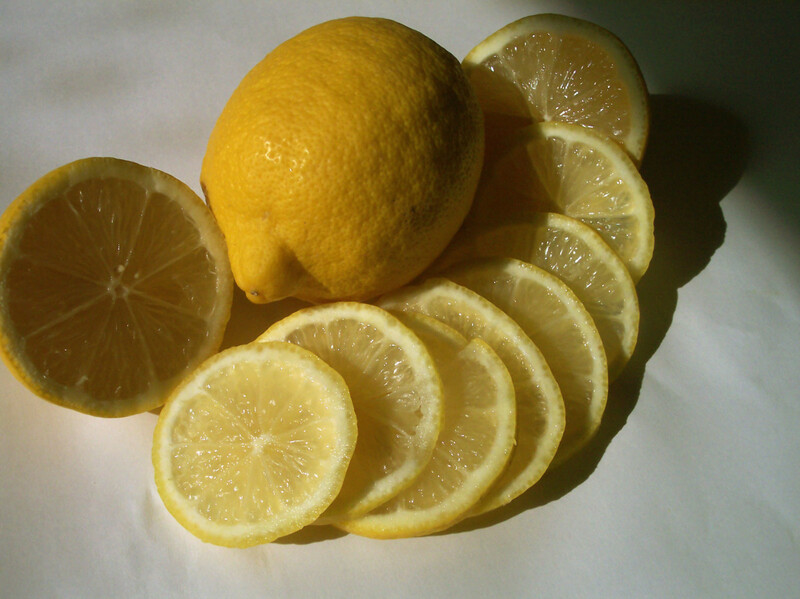 One of the most popular citrus scents, lemon oil is also known as cedro oil. A native of India the lemon tree is synonymous with southern Mediterranean countries and is grown throughout the world in warm temperate climates. The oil is extracted from the lemon peel as in sweet orange. A clean, fresh sharp fragrance known to help concentration and improve decision making it has many beneficial uses. Containing vitamins A, B and C and is an excellent ingredient to use in skincare recipes such as rosewater and lemon face wash. Lemon is a natural choice for including in air fresheners and potpourri and makes a refreshing addition to a cucumber spa water ideal for the warm summer days or when entertaining or hosting a girls spa party. Lemon is one of the most versatile of the oils and may be use in creams, lotions, vapors, and burners, massage oils, in the bath, mouthwash recipes and hair products. It is non-toxic but may cause skin irritations and skin sensitivity in some individuals. It is photo-toxic and should be avoided, even in small quantities, in prolonged sun exposure. Tangerine oil is also referred to as European mandarin, naartji and true mandarin. A sweet zesty citrus oil, it is terrific for the circulatory system, relieving stress, aiding the digestive system and reducing stretch marks. Native to China it arrived in Europe in the early 19th century and then America who is a large producer of tangerine today. The main differences between tangerine and mandarin are tangerines are harvested in November and mandarins in February. Tangerines are also deeper in color and seedless whereas mandarins are more yellow than orange and have small pips. Tangerine oil is commonly used in burners, vapors, lotions, creams, massage oils and in the bath. Another citrus oil to be careful of in the sun and should be avoided, when in the sun for long periods of time. This wonderful essential oil is extracted from the Boswellia tree and is often known as Oilbanum and gum thus. Frankincense is woody and spicy oil that is calming, soothing and rejuvenating to body and mind and homemade frankincense recipes are popular. The oil originates in the Middle East and is extracted from a hardened resin from the bark of the tree and is one of the more expensive essential oils. Prices can vary from under $10 to near $100 a bottle. It is non-toxic, non irritating oil that may be used by even the highly sensitive of skins. Its tonic effect on the skin makes it perfect for using in a face wash and compresses. In face creams and lotions it has the ability to benefit dry dehydrated skin and oily skin. Use it in burners, vaporizers, in the bath or with base oil as beneficial massage oil. One of the most popular fragrances, neroli is also known as orange flower, orange blossom and neroli bigarade. 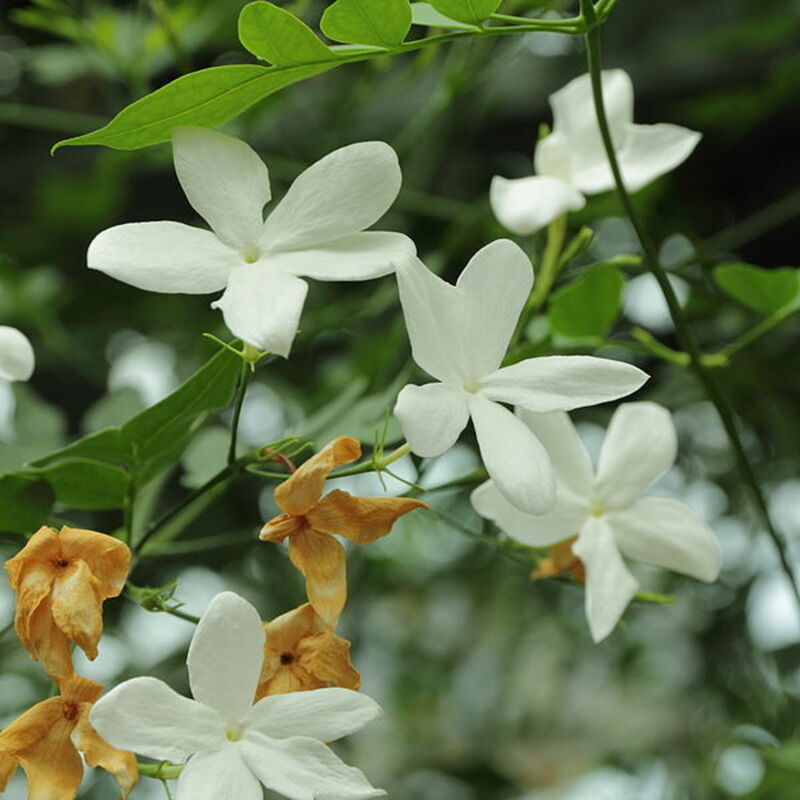 It has an extensive range of both therapeutic and skin benefits not forgetting it has the most incredible scent. 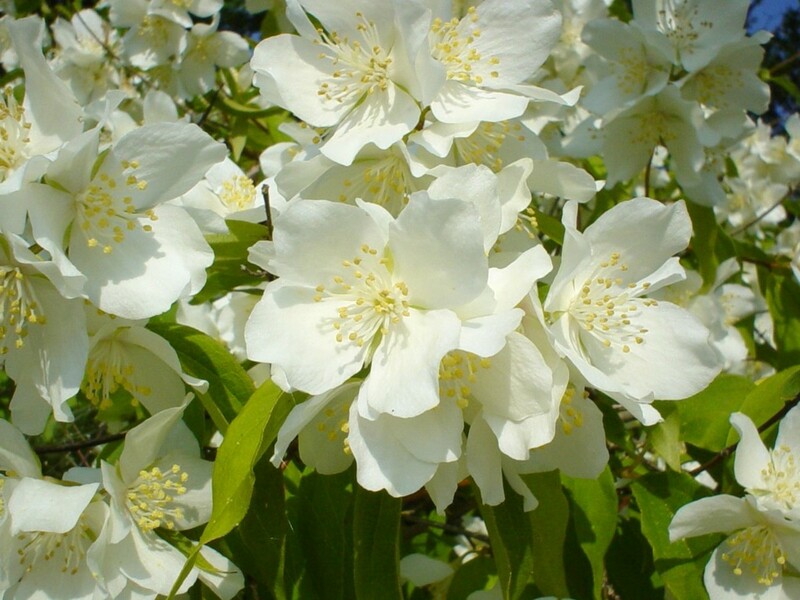 Floral, sweet and haunting it is said to have been named after an Italian princess, Countess of Nerola who used this fragrance as perfume, in her bathwater and even for scenting gloves. 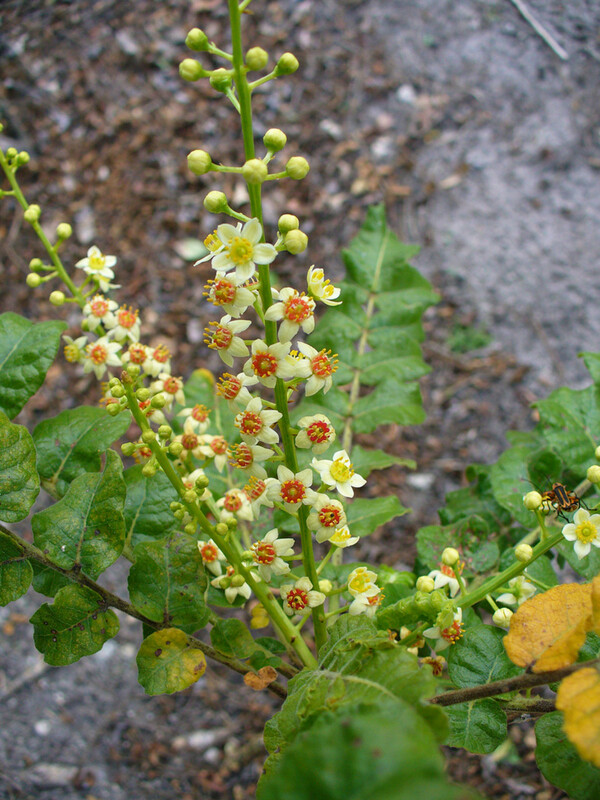 The oil is extracted from the delicate flowers of the Bitter orange tree and is commonly used in perfume making. One of the most relaxing oils it is useful for anxiety, insomnia, fatigue, shock, depression and neuralgia to name a few benefits. In fact it is so relaxing it should be used with caution if a sharp and focused head is required. In skin care, it aids cell regeneration, rejuvenates skin tissue, deep scarring and broken capillaries. As with many essential oils it may be used in vapors, burners, in massage oils, the bath and in a variety of skin care products. Neroli essential oil is non-toxic, non- irritating, non-sensitizing and non-phototoxic. Myrrh oil is commonly known as myrrha, bola, gum, common myrrh and hirabol myrrh. A warm and musky oil that has been called magical, it has a spiritual quality that is said to have this magical effect on treating women’s complaints and a body detoxifier. 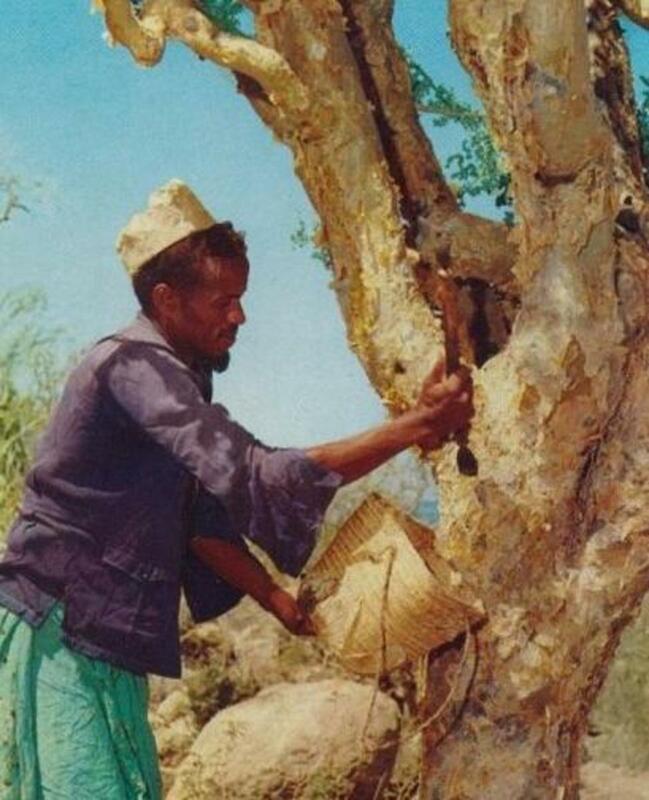 Native to Yemen, Somalia and Arabia, the oil is extracted in a similar way to frankincense, from the bark of a tree and then from the hardened resin. Myrrh is a great healing oil and may be use for colds, diarrhea, mouth and gum disorders to name a few. It is a beneficial in providing relief for period pains and for easing difficult labor in childbirth. Myrrh may be utilized in the full spectrum of uses, namely skin care creams, mouthwash, compresses, vaporizers, oil burners, massage oil and in the bath. Myrrh is non-irritating and non-sensitizing however it may be toxic when used in high doses so should always be avoided during pregnancy as it can act as a uterine stimulant. What interests you most about homemade perfume? The money I will save. Making my own signature scents! Eliminating many known dangerous chemicals and toxins. Making my own range of matching products. Thanks very much for your interest and good to know you enjoyed it. Perfumes are easily made and by experimenting with different scents you end up with your own personal blend. Even if you have a favorite perfume from a brand e.g Chanel if you check the ingredients on the packaging you will see many essential oils or fragrance names you will recognize. By making a note you can come pretty close to making your own version. Many thanks for your congratulations, it was wonderful to be acknowledged! What an interesting article! Before reading this Hub, I had always thought perfume making was a mysterious and difficult process. Thank you for such a useful and interesting Hub. I'm going to try out a recipe. Congratulations on having this hub selected as a Hub of the Day. So good to know this piqued your interest and maybe you will give making your own fragrance a go sometime! Would suit the creative person that you are! Thanks very much for your votes and for sharing, much appreciate it! Wow, I'll bet these are so awesome to have around. I have never though about making homemade perfume. I suppose it is rather an are form in itself. Thanks for piquing my interest. Voted way up and interesting and shared. Thanks so very much for stopping by and for your lovely comments! It was lovely to hear from you and thanks so much for your sharing and votes my friend!! Wow! What a comprehensive hub packed with plenty of information! No wonder that this well-written and knowledgeable hub of yours got the well-deserved hub of the award! Congrats! Way to go! My friend across the Irish Sea, lovely to see you and receive your comment! Appreciate your votes and well wishes, have a great weekend! Lovely to receive your comment! Thanks so much for your support, means so much to this writer and glad you found it interesting! Many thanks for taking time to visit and comment. Delighted to hear you found this useful and hopefully you will give making your own a try sometime! Appreciate your input! Thank you so much for your kind words and support. Citrus oils are great for so many things and in different recipes but you do need to think when using. Some are sun sensitive and if you use in a product and are then in sunlight you may get a skin irritation. I love citrus myself and it is just something to remember. I love them in lip balm, body wash, pot pourri, body spray, the list goes on! Just use sparingly when using out in daylight (extended periods of time). Glad you enjoyed these combos, there are so many and I love that you can be creative with personal choice. Cheers for your lovely kind words my friend, my ardent supporter and tester!! Interesting and voted up. Have a great day . I love information like this. Yes and very well written too so easy the directions. Thank you much for doing this article. We can find how to do most anything, but didn't think to look for perfume recipes. Great job, and also congrats too. Congratulations on Hub of the Day!! Of course, I'm not surprised!! This makes me want to break out my essential oils collection...hopefully this weekend. I don't have many citrus oils except for the neroli, but after reading about all these great citrus oils I think I'm going to have to add more to my collection. I happen to LOVE ylang-ylang, so I may start with the lavender combo. 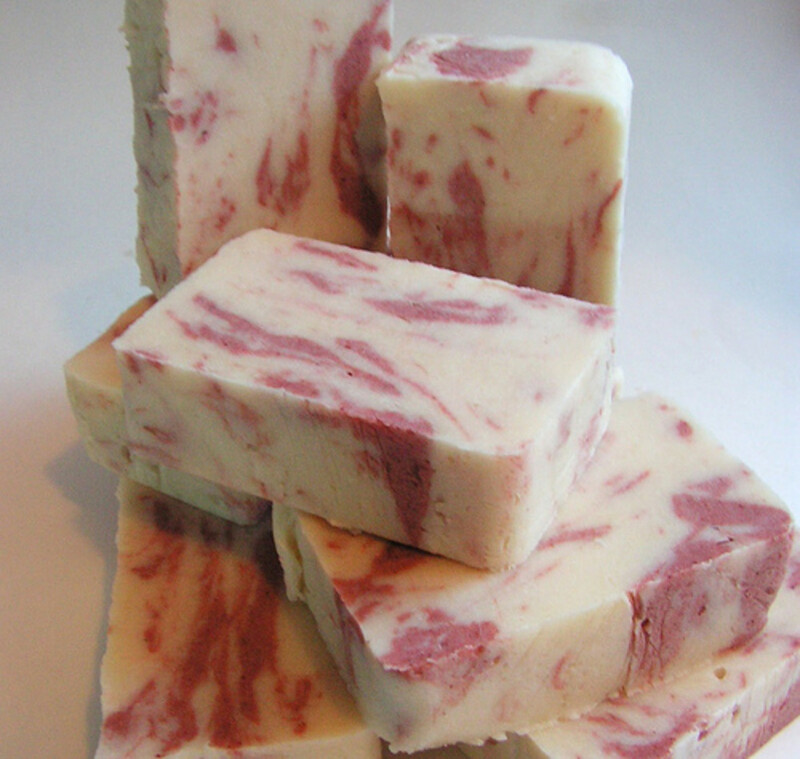 The sandalwood and vanilla also sounds irresistible. I checked "all of the above" in the poll. This is an irresistible DYI beauty recipe. Thanks so much for another great one!! Delighted you found this useful and informative with your expert experience. Thanks so much for your comments and input, always a pleasure to see you!! Love having your comment! bath oils are easily done with some lovely essential oils mixed with a little carrier or base oil such as jojoba, melted coconut oil or sweet almond oil is wonderful. Thanks again for dropping by Audrey! Very informative and well written of course. As an herbalist and naturopath I love making my own products and making them available for others. Then people started asking for plain scented body oils. I was hesitant at first with getting proportions right, but now I feel comfortable. Your suggestions are certainly helpful. And you provide good overall information on the benefits of each essential oil. Oh wow--this is great--I love oils and use them in my bath sometimes--I am not at all sure that this is what should be done here--but it feels luxurious! And congrats on the HOTD!! Have fun trying this out! Thanks so much for visiting and leaving a lovely comment, much appreciated!! Delighted to hear you are keen to give the orange oils ago! Enjoy experimenting! Many thanks for dropping by! How good of you to drop in again and comment, thanks so much for taking the time!! Really cool i'm gonna try this out , "Congratiulation for being on the Hub of the Day !" Enjoyed it . Just dropping in again to say, "Congratulations on Hub of the Day!" So happy for you. It's well deserved. Your hubs are always beautifully written & so well laid out. Jedi Knight Suzie over and out!!! Many thanks for popping by, commenting and voting! i am a fragrance nut too in everything! I totally loved everything about your hub. And I can't wait to try out the orange ideas. Awesome work! Cheers for your good wishes and lovely kind words. Your constant interest in my work is incredibly motivating and have to pinch myself often when I think just over a year ago I had never written an article or blog in my life! Thank you again my friend, you votes, pins and words are so appreciated! Ah how kind of you to check this out! I am such a fan as you know of your work and appreciate your kind words! Hoe you get to give perfume making a go and come up with the perfect tillsontitan creation!! Thanks so much for your votes, very much appreciated Mary!! Great to have your interest on this concept and thanks for your comment and visit! I can't believe I missed this delightful hub! What a great, money saving hub this is. Its always nice to have a fresh scent and what better than one you make yourself? And, dear friend, congratulations on your hub of the day, very well deserved. Many thanks for your good wishes and lovely comment! Cheers for stopping by and I much appreciate your comments and thoughts. Delighted to know you are in favor of ingredient safety as much as possible. It is quite frightening at some of the nasties lurking in our products that get through and deemed "safe" in some countries and not so in others. Congrats on Hub of the Day! This is your usual fantastic work. I typically don't wear perfume because most of it is too strong for me and it irritates my sinuses, but these recipes seem great for people with sensitivities! Congratulations on your Hub of the Day award for this informative post! I got side tracked with your links…. :) … but wanted to say thanks for really helpful information that will let anyone easily make their own fragrances. It is important to know what the ingredients are in our perfumes, but most often impossible to be sure they are safe if we buy it. Lovely to receive your comments and thanks for the kind words! Since you have a few of the oils you can experiment with creating your own blend. What is useful too is when you have your favorite scent, you can use it in a range of products such as shower gel, body butter or hand cream! Wow Suzie :) Such a great hub and I love it! I love fragrances, oils, and sprays but haven't even tried of trying to make them. And I had two oils mentioned above. Up and shared! And I'd be experimenting with fragrances one of these days :) Thank you for your awesome hub! Delighted you decided to check this out, I love looking at different ways to reduce the amount of chemicals, synthetic fragrance and toxins we are exposed to daily in cosmetic products. Hope you give this a try sometime, appreciate your comments! Congrats on HOTH! This is such a great idea. I am all about eliminating toxic chemicals from my life where possible and making my own scents sounds like a fabulous idea. Thank you so much for sharing this well written and informative article! Much appreciate your interest and comment. Interesting to hear your new line of products, I hope they go well for you, it is such an interesting area. All the very best with your business and I appreciate you trying my recipe out . So good to have your thoughts here and appreciate your lovely comment. Must pop over for some tips and ideas! Have fun experimenting and trying your own signature scent, once again, many thanks for your votes here! Many thanks for your lovely comment much appreciate your visit, hope you get a chance to try a perfume out! Fantastic Hub! Thank you for posting this most useful information! I make my own mosquito spray, body butter, shampoo, etc. so these wonderful recipes will be a welcome addition to my ever-growing homemade products list! Voted up, useful, awesome, and interesting! Very well detailed and useful hub indeed. Thanks for sharing, and congrats on the HOTD award. Because chemical fragrances give me a headache, I've been using blended essential oils instead. Glad to have the recipes to make my own! And a BIG congrats on Hub of the Day! Many thanks for checking this out, much appreciate it! So great to hear from you on the ranch! Glad to hear you are stocked up with most of the oils. You can be creative with what you have too and even try the solid perfume which is easy to make and lovely too. Appreciate your kind comments sincerely, have a great day! Delighted to hear from you and many thanks for all your support of my work! Lovely to receive your thumbs up, much appreciate your visit and comment! many thanks for dropping in here, delighted you enjoyed this! Gardenia are beautiful and were a flower my grandmother and my mum loved, so special to me too. Hope you enjoy brewing up some remedies in your kitchen and I look forward to hearing how they turn out! Appreciate your comment and enthusiasm! Just been over at yours leaving a comment! LOL Thanks so much for your comment, MJ has to be in your first line doesn't he??!!!! LOL What a riot he is. Delighted this was chosen and appreciate your continual appreciation and support, it makes me work harder at writing new homemade ideas and showing how things are doable and fun! Thanks as always! Congrats on your HOTD Suzie! Your hubs are so deserving! Good hub and very interesting. Voted up. Hi Susie, Congrats on Hub of the Day. This great article really deserved the distinction. It has information about various essential oils, a super easy (I love super easy) recipe for making your own fragrance and the the video for extracting the scent from fresh flowers. It's gardenia time here in the south of US and to bottle that heady, intoxicating scent of the gardenia would be fabulous. Suzie, I saw MJ's comment from the first page I come on when I get to this site (I stay signed on), and wondered what he was talking about. Then I looked to the right side, and saw you won HOTD! Congrats! It is about time. LOL, boy now I get an incline as to how Sir Bill must feel getting a comment from you LOL! Since you enjoy creating things I have no doubt you could come up with your own signature scent of a bit of kerosene, a drop or two of essential oils and whatever else your crazy inventive streak leads you! OMG, what a lovely surprise as I opened hubpages not long ago! Sitting with my morning wake up coffee, here you were and this as HOTD. I am delighted and honored that this was chosen. So good to hear your comments my friend, appreciate your support, votes pin and continual support, many thanks!!!! Now how on earth did you pull this one off for this little ditty, LOL. I thought only the good and the great were worthy of a HOTD. Oh wait you are much better than that so then it makes perfect sense. So tell me something Suzie. How wrong is it for a short little man to make a short little drop of Suzie's "easy homemade perfume for women" for himself? I just thought it might make a change from smelling of diesel and kerosene and who knows it might even bring a different class of customer to the garage, LOL. Seriously, hearty congratulations on getting HOTD. So very well deserved for a superb Hubber. I wonder if this scored an 8+ in the new QAP? LOL. Voted up, ticked, shared and G+d. I still haven't sorted that Pin It thingy so that'll have to come later. Have a very special day and don't forget to do you HOTD victory dance, LOL. Glad you enjoyed this, thanks for visit and commenting! 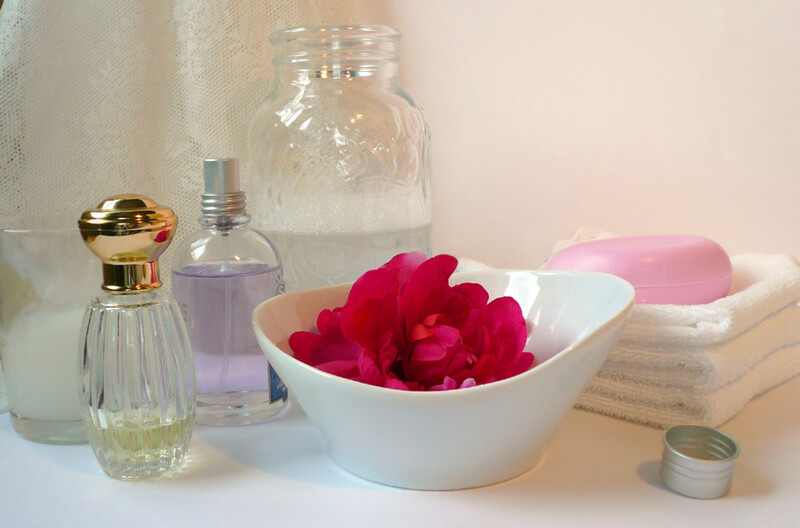 Fragrance making is great to do at home needing a few ingredients and pieces of equipment. Hope you have fun with this DIY project!! I enjoy finding neat DIY projects. This one is a little different than most, but I like a good scent. I will definitely have to give this one a try. Welcome and lovely to have you visit and comment! Delighted you enjoyed this enough to leave me a few words and that you are a fan of DIY beauty products!! Your own recipe sounds wonderful, love it and must give it a go! I love all 3 ingredients and it sounds like it would be so aromatic and wonderful for the skin in a body oil. You should do matching products such as body wash, perfume, soap, deodorant, hand cream the list is endless!! oh it would be gorgeous!! many thanks for your input, look forward to reading some your own works. Thanks so much for commenting I will link in your hub too if that's okay, meant to do beforehand! So lovely to hear your thoughts, appreciate that! Cheers for the votes share and pins!! Voted UP! Thank you for sharing this! 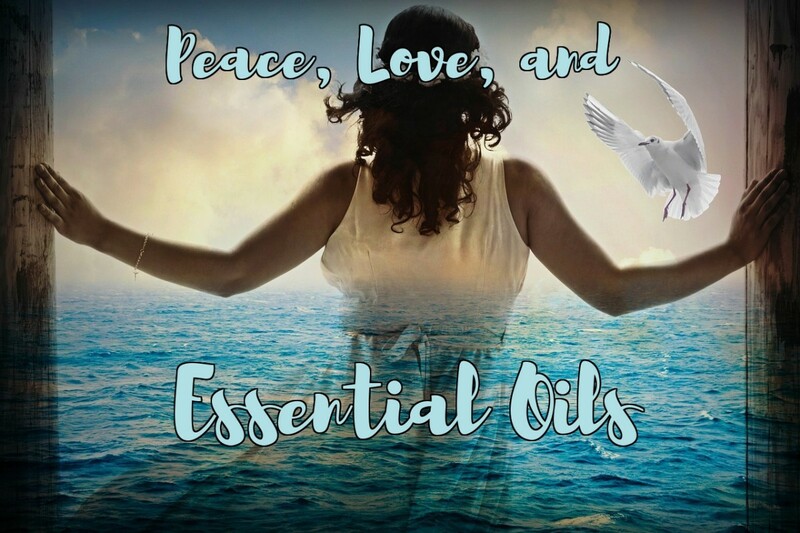 I love using essential oils to get good scents for perfumes and body oils. I never made any homemade perfumes yet, but have made body oils, such as lavender and geranium rose. I mix mine with almond oil. I used to wear store bought perfumes all of the time, but when I smell them now, I want to gag! It is too much for me to handle! Very useful information! Don't you just love it when we can be very inventive in the most natural way to create something as wonderful as this? Well researched, well presented. Excellent hub! Interesting, beautiful, up, pinning and sharing. So love this user name every time I see it! So good to hear this was useful to you and hope you will use some of your oils now to make a perfume or two! How about a matching body product in the same fragrance! Appreciate you interest! many thanks for checking this one out! Appreciate your kind words and glad you found the information useful! I love these - I tend to buy essential oils and then forget completely what I was going to do with them, so I really must follow your advice and make some of my own perfumes - thank you! Hi Suzie! I always like such types of idea and yours is one of the finest one. Many thanks for your comments, yes these would make ideal presents for many occasions and citrus i do love for a light fresh scent too. Appreciate your votes greatly here! So good to hear from you! Hope your mom and sister enjoy giving one of these a go! Thanks again for commenting and for your votes! I love this hub! I need to remember this for ideas for Christmas gifts, or for something special. I especially like citrus fragrances, so I was very much attracted to those scents here. Voted up!! Glad you stopped by, hope you enjoy trying one out soon! Many thanks for stopping by. If you were to buy the ones featured in my main recipe off amazon they could be around $52 which is pretty good as frankincense may be as much as $80 a bottle it depends on the quality like many products. If you want organic which are the safest it can mount up but then in this recipe i showed about 5 or 6 oils and you don't need to go that expense if you don't wish to. The oils do last as you only small amounts. Thanks for your interest! Thanks you for sharing the information! Wow, awesome information here Suzie. Lemon oil, sweet orange oil, gosh, I would love to have perfumes in that fragrance. Thank you so much for this great hub. I am definitely going to try one of these sometime soon. Voted up, useful and interesting. Sharing! Citrus based perfume is rather popular. What is the cost of collecting the different oils? For Mother's Day, my children bought me Fresh's Hesperides which is grapefruit based and a small unit of it is only $20. Thanks very much for the interest, hope you find time to make sometime! An easy one to make and you may use it with alcohol or oil. Oil based I find will last longer and if you can leave it for a least a week it will infuse all the better. Choose oils you love and will use in other products and make a matching range. It will all enable your fragrance to last longer if it is in things like body wash, body moisturizer and perfume. Thanks so much for your support as always, glad to know you are enjoying these recipes! So good of you to comment! The Boswellia really is something you would not expect to be such a source of this beautiful fragrance. Not the prettiest I agree! Appreciate your interest and time taken to visit! Very informative hub with great ideas. The idea of making your own perfume is wonderful. Perfume for women! Yessss! I'm already planning on buying a few things at the store soon, and once I do I will have the ingredients for this. I just need to establish what scent I want. Thanks, Suzie! Hi Suzie HQ--Another beautiful hub! Boswellia, what a humble looking little plant. Had no idea such a weedy little thing was the source of frankincense. Lovely to hear you are planning on giving this a go, much appreciate your interest and comments, always great to receive feedback! Great to see you and have your interest and support! believe it or not I don't have one i use all the time as I love so many different scents. My favorites thought are Jasmine (also a fan of jasmine incense sticks, burners and candles), Lavender (everything), Bergamot, Citrus ones and Sandalwood. Thanks for asking appreciate your comment! Great support as always, thanks so much for commenting and visiting! So good to see you ,always chirpy! Great to know you enjoyed so much and do give a recipe a try and I reckon you will love it.Please do try one of these or pop into a store selling oils and see what you like initially. Appreciate greatly your link, will keep an eye out in my mail for your latest work! Hope you had a lovely Mom's Day in US, ours was earlier in the year, March I think! I am a perfume fanatic and I love all things scented. I will definitely have to give these a try! Thanks for sharing! Thanks teaches, so good to have your support and thoughts! Great to hear you enjoyed this, appreciate you commenting! You must have a crazy big selection of essential oils! 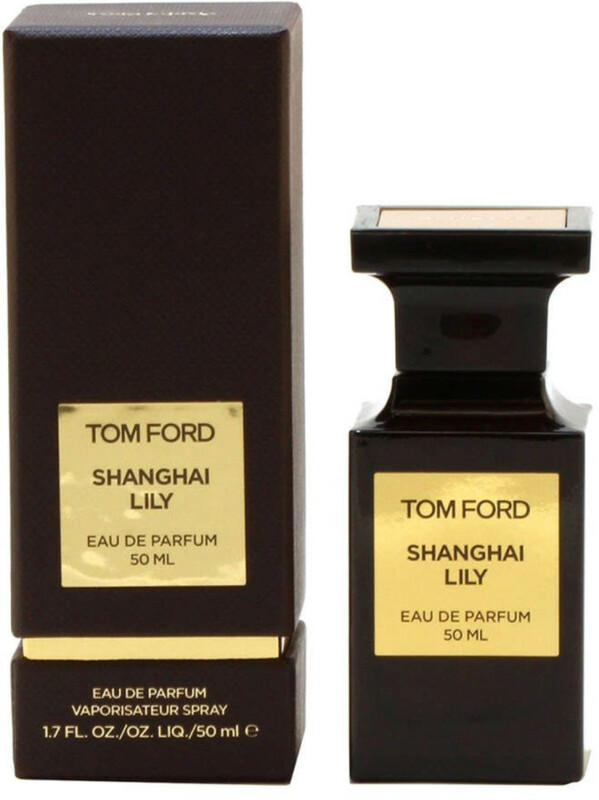 Do have a signature scent that you make only for yourself?